Love the banner!! And those boots are cute! I love it. I have an new found love for burlap. 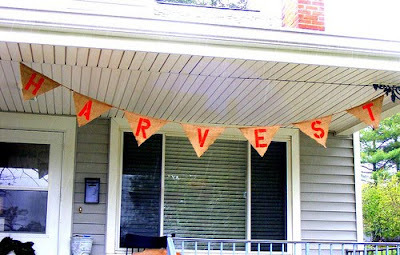 I want to make a halloween banner out of burlap. Very cute! Love it! And I LOVE the new picture you posted at the top of our blog as well.. Great job! It's perfect. What a genius idea! I like it! Love the new pic at that top. So fally! Thanks for coming by my blog. 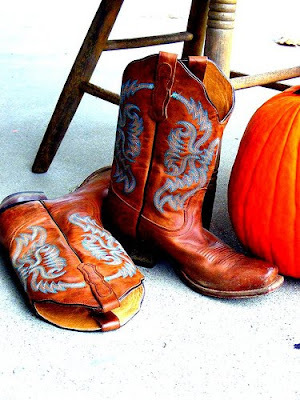 Loving your all your harvest decorating and those boots! Your banner is fab, love the orange, classic and clean! perfec! the banner looks great & i really love the boots! I love your Harvest theme...and I'm really lovin' your boots! The porch looks great...and those boots are awesome! !